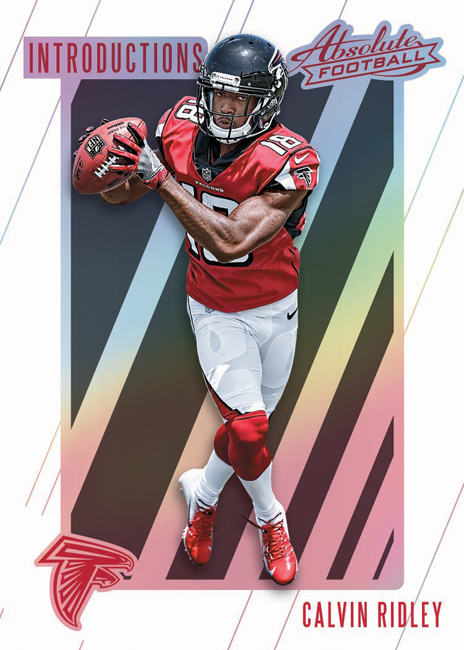 搶先看:2018 Absolute Football - 球員卡相關消息區 - 育盛球員卡(球星卡)及各類運動討論區 - Powered by Discuz! 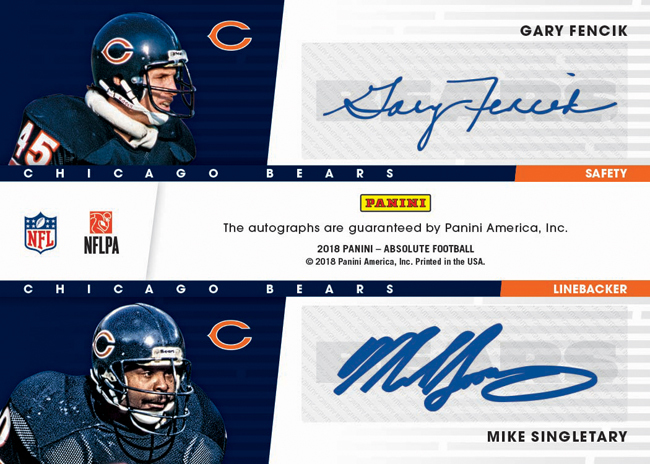 When you’ve got more than a decade of consistent performance under your belt like Panini America’s Absolute Football brand does, you don’t need much in the way of a grand introduction from year to year. 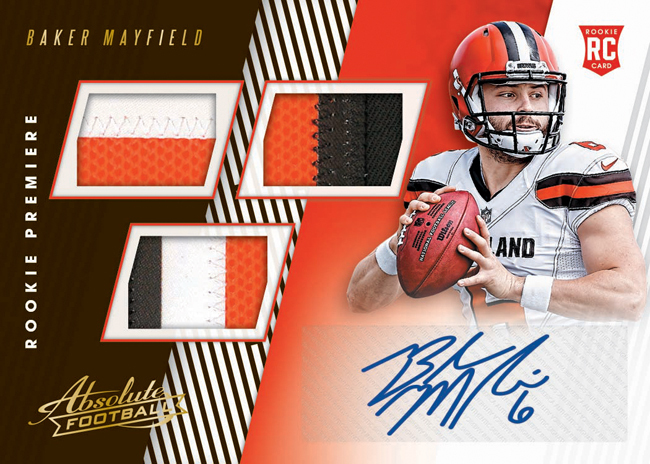 Simply put, Absolute Football is an annual collecting staple with a arsenal of calling-card inclusions such as Tools of the Trade, Canton Absolutes, Rookie Premiere Materials Autographs, Jumbo NFL Shields and so much more. 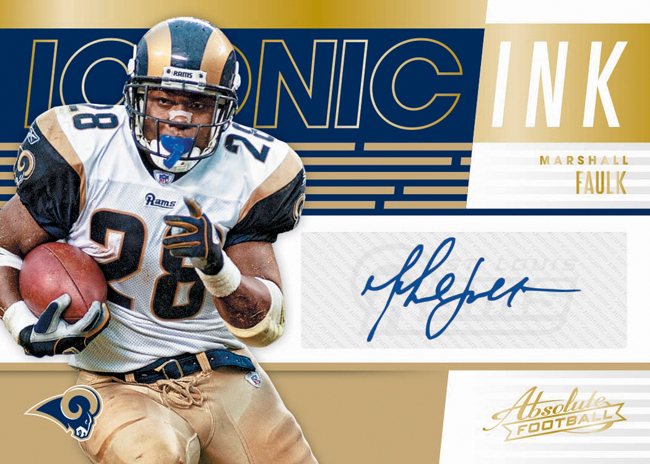 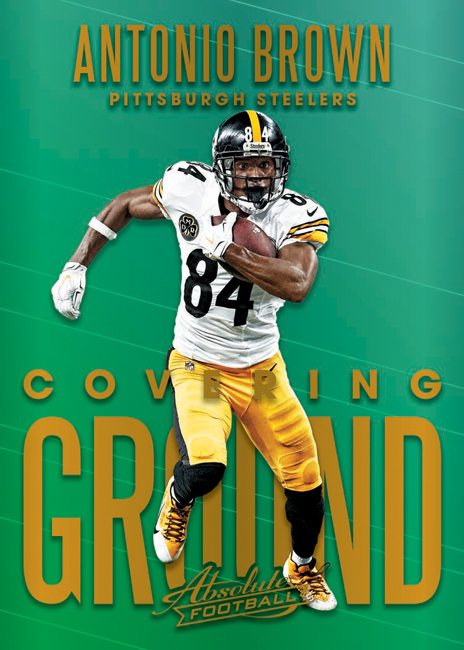 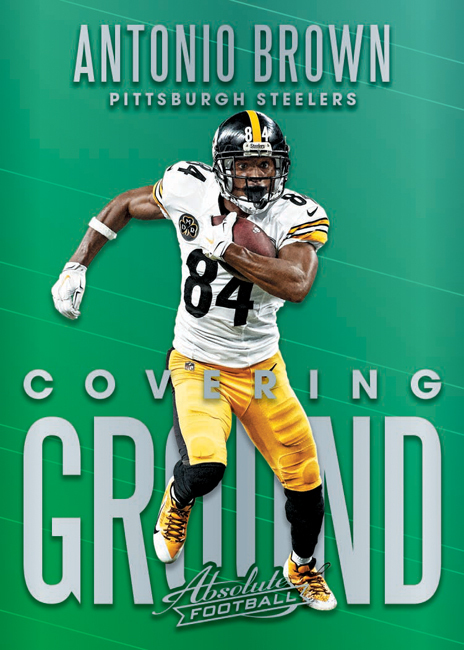 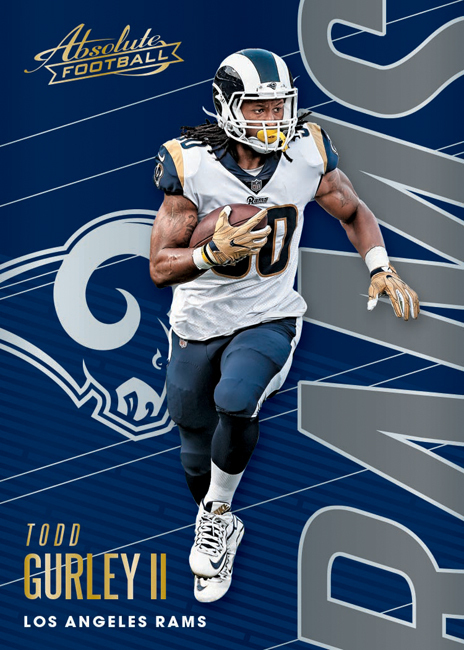 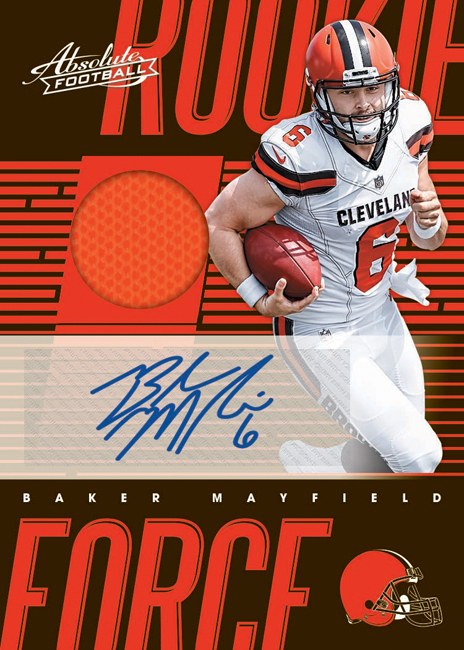 And so it will be with 2018 Absolute Football when the newest iteration arrives in hobby shops across North America in early September delivering, on average, one Rookie Premiere Materials Autograph, two additional autograph cards, two memorabilia cards, one insert, one Rookie Card, two parallels and six base cards in each hobby box (five cards per pack, three packs per box, 10 boxes per case). 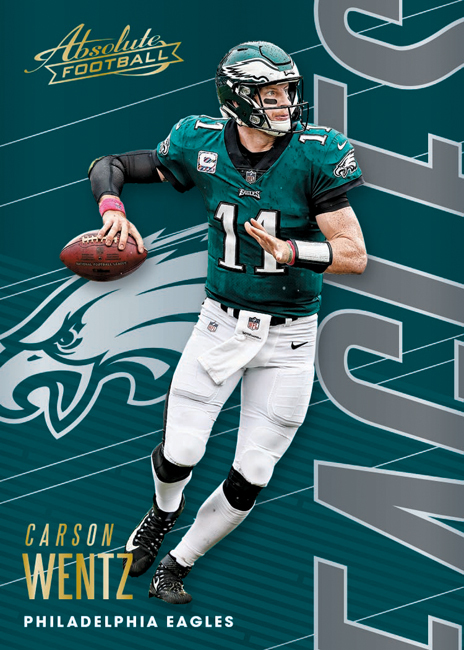 The highlights of 2018 Absolute Football are many and include . 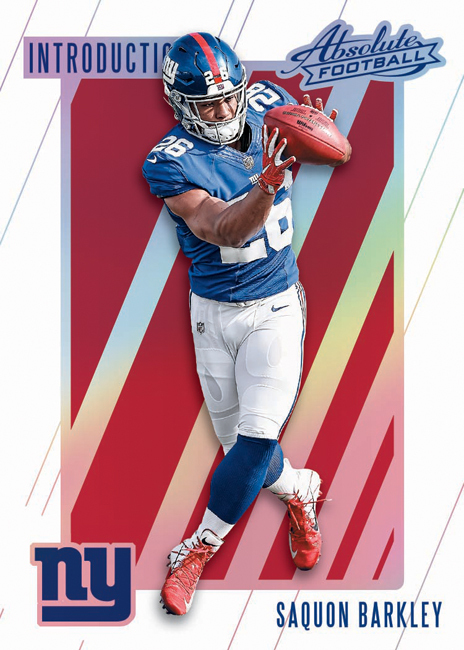 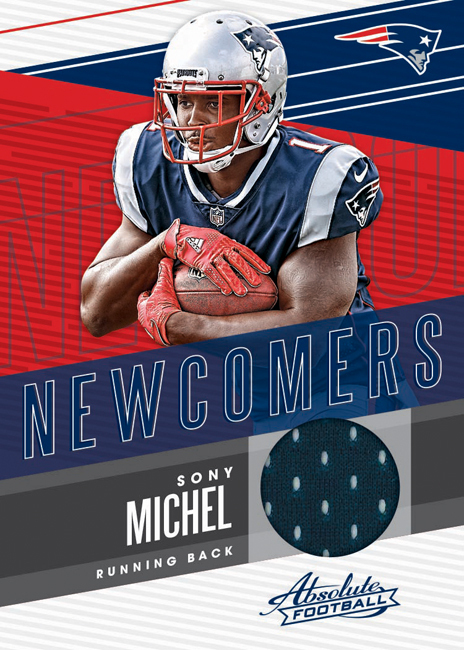 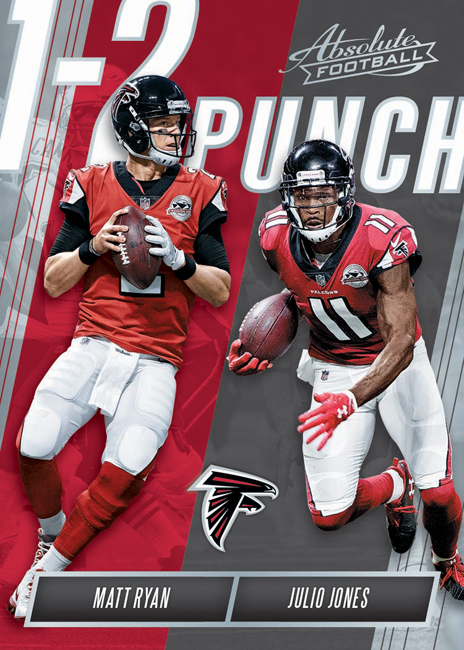 . .
A 190-card base set that combines a mixture of veterans and the newest rookies who look to make their stamp on the NFL. 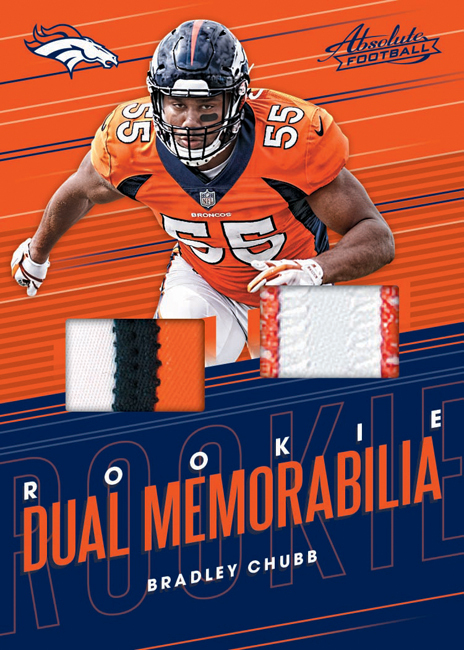 Tools of the Trade, one of Absolute’s most popular sets, featuring multi-swatch cards including double-, quad- and five-piece memorabilia cards. 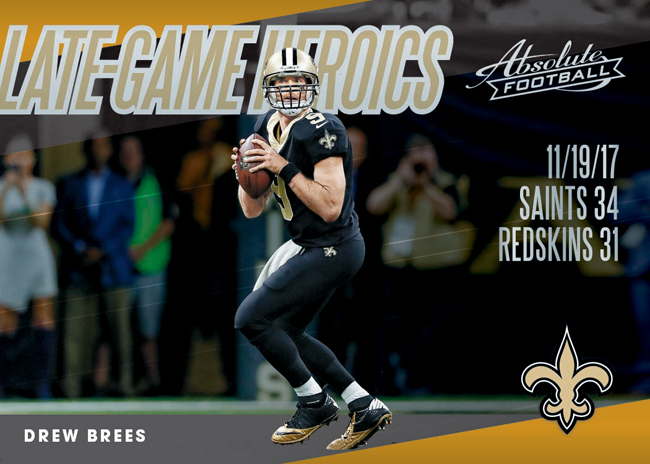 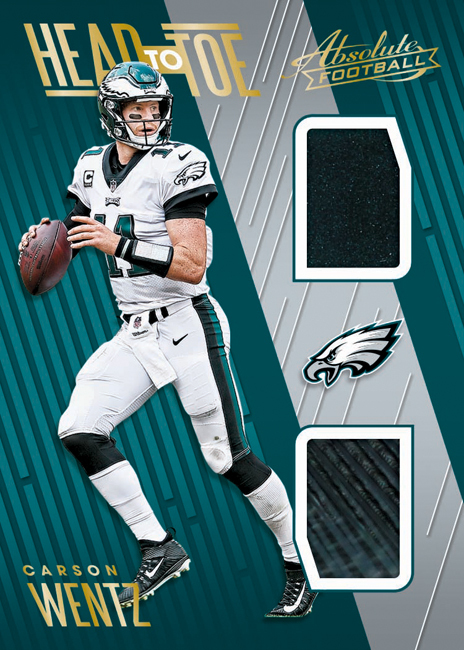 The unique Head to Toe memorabilia insert utilizes helmet and shoe swatches. 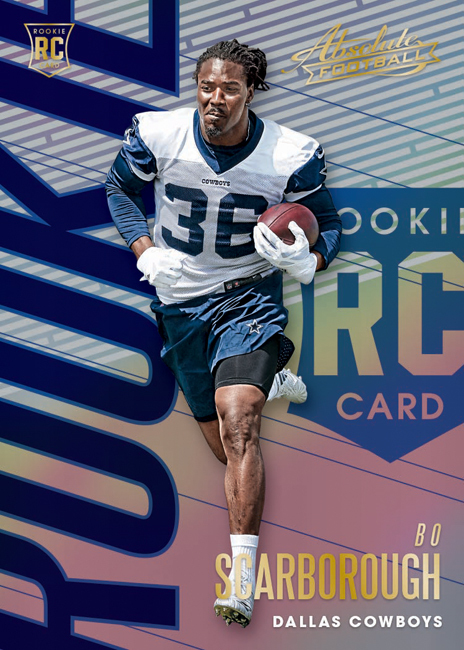 Look for a variety of NFL players to chase, including stars such as Ezekiel Elliott, Alvin Kamara and more. 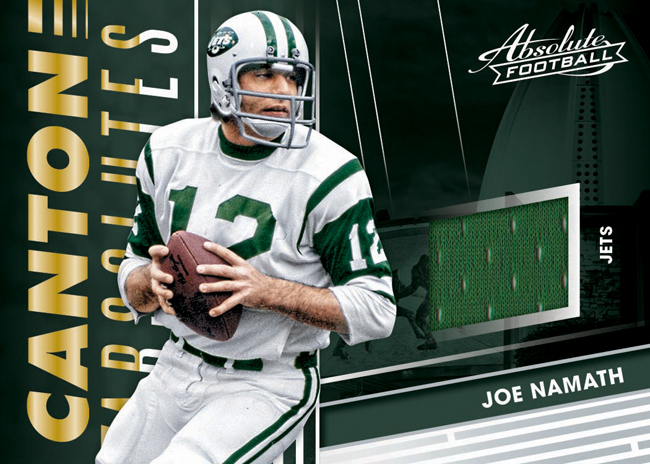 One of Absolute’s most collectible inserts, Canton Absolutes, returns to feature NFL legends such as Joe Namath and Jerry Rice. 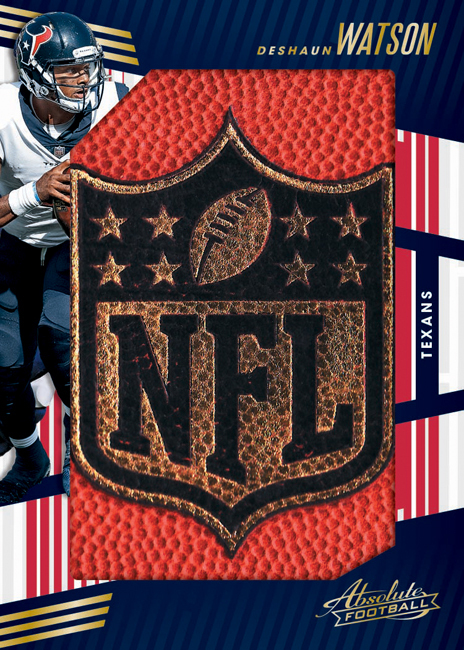 One of the most sought after memorabilia sets of the year, Jumbo NFL Shields, features massive swatches of NFL footballs and numbering to either 10 or one. 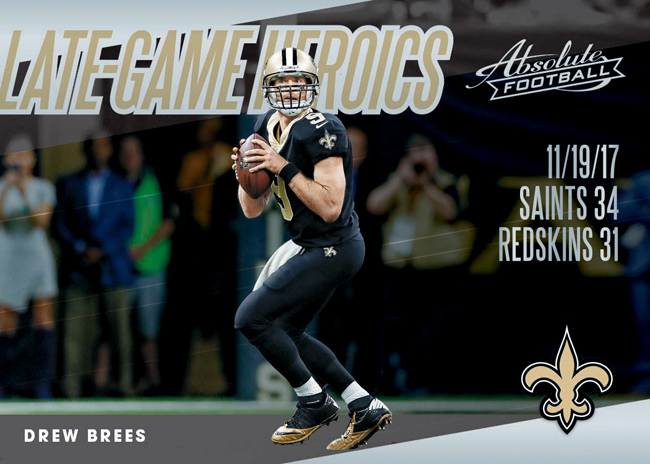 Throughout the years, there have been many great players throughout the NFL to play on the same franchise. 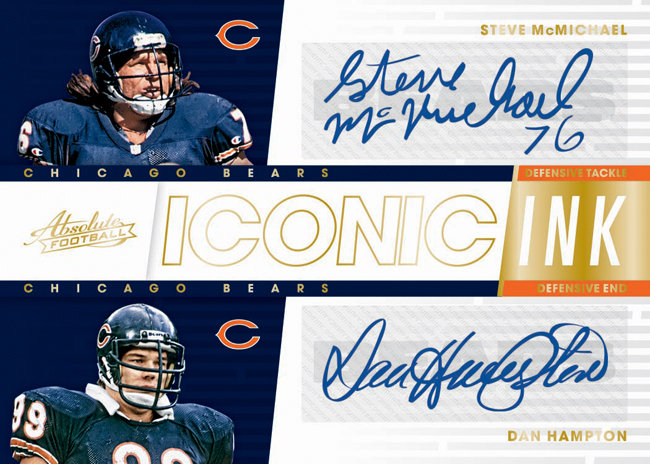 Iconic Ink honors those great players and teams with Iconic Ink Duals, Iconic Ink Trios and Iconic Ink Quads.